﻿ On paper, themes of space and post-rock should be natural bedfellows; with the expanse and mystique of the cosmos, there’s no real reason why a genre based on conveying the same effects shouldn’t realistically be able to work alongside it. 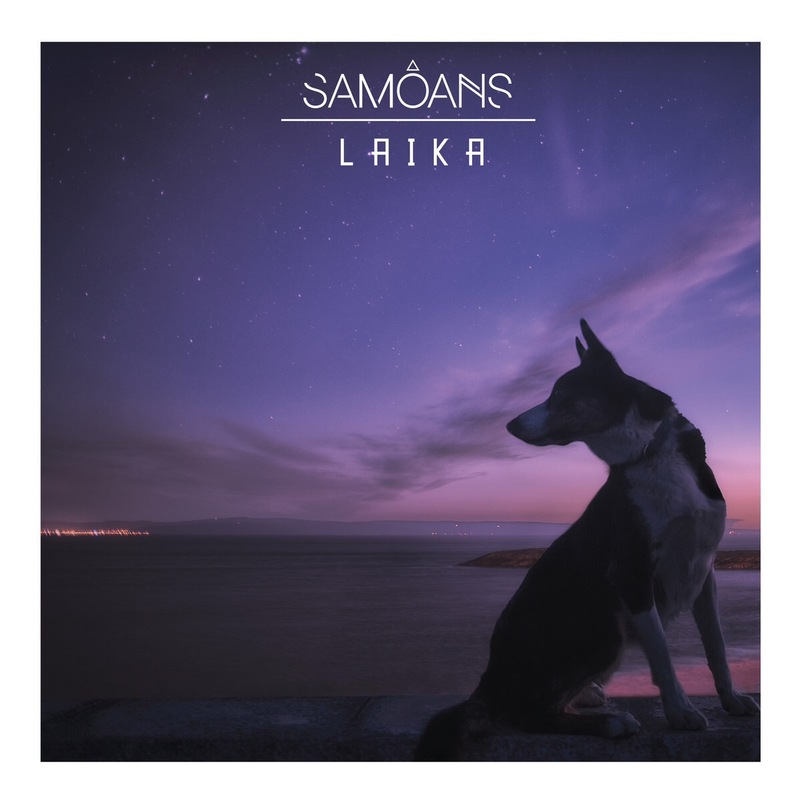 That’s the approach that Samoans have taken on Laika, an album inspired by the vision of human progression framed by various sci-fi narratives, and named after the first dog sent into space to highlight the extent to which we as a species as willing to go to achieve that progression. It’s a smart idea overall, relaying the imagery of space through their post-rock and prog tendencies, but ultimately kept grounded through a penchant for alt-rock melody that’s heavily inspired by fellow Welshmen the Manic Street Preachers. But therein is perhaps the main problems, in that comparisons, especially thematically, will undoubtedly crop up, and where the Manics in their prime were well-known as political firebrands, Samoans’ take on human progress is a lot more tempered. What results with Laika is an album that’s a lot like the space it’s trying to outline, spiraling around with its gorgeous, elegiac clarity, but often drifts off target to the point where it can easily become lost. To be fair, a lot of the blame for this can be taken away from the band and is more of an attribute of the genre as a whole. There’s the airy swell that builds into something heavier and more solid on tracks like Second Tongue and Monuments, but like with a lot of post-rock, there’s difficulty in really securing that payoff in the end, which leaves a fair chunk of this album just floating around in the ether. Samoans hit more of a stride when there’s a great sense of structure present like with the Arcane Roots-style prog of Terra or the swirling indie of Satellites where the Manic Street Preachers influence comes into full effect, especially their later period. If anything, it’s in these moments where Laika is at its best, capturing the atmosphere and breadth that an album linked to space demands, but keeping it secure and on a stable track. The big stumbling block is in Dan Barnett’s vocals, and to be as charitable as possible, spending most of his time in a faint whisper as least contributes to the overall theme, and on a track like Counting Backwards that’s a bit more grandiose even as it transitions to its heavier moments, it can work there. Most of the time though, he just sounds so frail and swamped out by this instrumentation, pushed midway into the mix as it is but unable to strike up any real driving presence. It’s telling that, again, Samoans are at their best when they break away from their self-imposed norms; Broken Hands and Satellites find themselves drawing on first-wave Britrock influences, Bush on the former and the Manics and Stereophonics on the latter, but beyond that and the odd Matt Bellamy impression that comes on a track like Template For A New Identity, the combination of vocal weightlessness and instrumental directionlessness has Laika feeling like something of a cold, unaccomodating listen. Of course, that might be the point; this is an album about space after all, and there’s certainly a vibe that brings up that image throughout. What’s more, Samoans have made an album that’s extremely well-constructed here, and in terms of grasping that sort of necessary expanse within their music, this is definitely a success. As a collection of songs though, Laika does fall somewhat short in that regard, whether it’s passages that just feel stagnant or lack any sort of momentum to keep them memorable. It was an ambitious effort that hasn’t totally paid off here, but at the very least, this is a comprehensive highlight of Samoans’ biggest strengths and weaknesses. ‘Laika’ by Samoans is released on 29th September on Apres Vous Records.